Young Ruth: I don't know what the future holds but I know there is no future without you. So, There's Yet Another Eastwood Heartthrob! 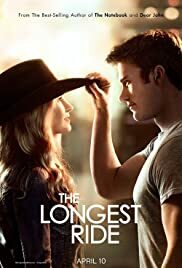 And I don't think it's going to take any time at all for this hunk to be completely and absolutely known only for his own looks, talent, and fame rather than having the fact that he's Clint Eastwood's son being tacked on. Scott is good! 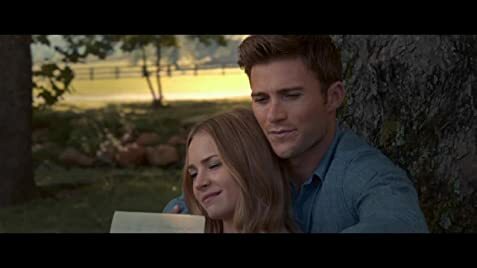 Britt Robertson was nicely cast as Sophia, except I have to admit here that I kept seeing a young Renee Zellweger in the part– before the silly plastic surgery turned her into a total stranger. Or just strange. Whatever. Jack Huston was excellent as a young Ira and I think portraying the elderly Ira is one of Alan Alda's best roles. I was just expecting the usual chick flick - but not so. Rugged enough action with the bull riding to interest any guy, as well as a decent plot and all around good acting. To sum it up, this is a nicely done film and one I wouldn't hesitate to recommend.